The couple Piero-Valentina, it seems that it is proceeding very well, or at least this is the impression that we have seen the various videos posted by Valentina. Yes, because Valentina does not hide the relationship with Piero at all, indeed does not miss an opportunity to publish moments even a little “personal” for the joy of the fans, but will be equally happy for Piero? For now it seems so, and to see him happy, it is very good for our hearts. Here they are together in Siena. V = Try to take pictures of me. Together they went to see the concert of ULTIMO, which won the last Sanremo festival in the YOUTH section. Together they go to the stadium to watch football matches. V = This is our tree and our crib, finished. V = And all the boxes, to bring down now? P = Do you bring it? These videos seem to fix, “evidence of life together”. This is a newspaper article that has appeared these days. From the photos we can see, Valentina and Piero with Valentina’s father and brother. Even the relationship with Francesco Barone and his girlfriend seems to work well, in fact here they are in a Sunday lunch together with Piero and Valentina. This is a video, where the couple answers directly to questions that are written on the video. QUESTION = What do you do if a pelican enters you at home? V = There was a bug out of the car window and I did not want to open the window to get the ticket. P = Who must drive to remove this bug? 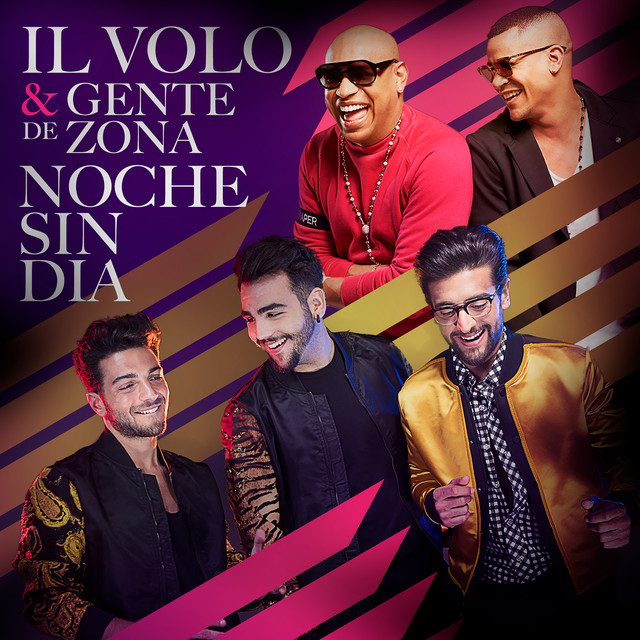 QUESTION = Favorite song of IL VOLO? V = I do not even know one! No, only GRANDE AMORE I know, that I know …… you too, you do not understand anything about football, so what do you want from me? We are even, Love. V = Fully agree with him! P = But I do not understand the last word. V = You are not acculturated. V = We have to study a year in Dubai. QUESTION = (to Valentina) Are you engaged? V = But in fact, since he came to the stadium, he goes to the gym every day to do his abs. P = I have to become like CR7. V = Then you have to work a lot !!! P = The important thing is to start. QUESTION = I’m a big fan of Piero, do you let me know? P = But still … (laughs) I can not take it anymore, enough! P = See you tomorrow, what do you want? QUESTION = Do you know that Vale is an excellent singer? V = The truth, Love, confess, who sings all day? P = You. But me, what did I do wrong? But how beautiful is our Piero here ??? But how cute these two are! Really entertaining these two, Piero is looking for toy stores to buy board games. They play “Guess who?” and “Tombola” and who always wins? PIERO! Che fanno sparire le cose che ho intorno. Non c’è cosa bella dove tu non c’entri. That make the things I have around disappear. There is no beautiful thing where you do not have to. V= And then they have the courage to say that we are women, slow. Love, do you try to make yourself beautiful? In these days Piero brought Valentina to Naro, to his house. They have made the Christmas tree. They went to see Ignazio. Ignazio continues to wonder in amazement “Piero plays with the dog !! !”, because Piero has always refused the proximity of the dogs, also because of his allergy …….. but since he attends Valentina (which seems to have a little dog), things have changed !! It will be Ignazio’s horse. In short, I would say a nice couple, maybe a little too “public”, but if they like it, everything is ok. Here we say “let’s hope it’s not just a straw fire” that burns fast and goes out. Expectations seem good, so we wish them all the best in the world! Best wishes for Piero and Valentina. He deserves only the best. Love seeing this young love together. Hope it is real….that their love will last along time as they share being the same heritage. Hoping that they will be happy always in love with each other…..keep us posted! I too hope it is true love, and that they are always in love. I am so happy for our Piero and his Valentina! We are all happy for Piero like you, Allene! I’m going out on a limb here and use the phrase “Let’s hope it’s not just a straw fire” , but my initial misgiving is that it is a straw fire. Sorry, just a gut feeling. As always,I wish Piero well in all aspects of his life. So let’s hope he does not burn too much, Mark. Really a very happy couple, Gale, we hope to continue like this. It is love and I for one am most grateful they are allowing us to enjoy it with them. We have waited a long time for our boys to find this very important part of their life story. 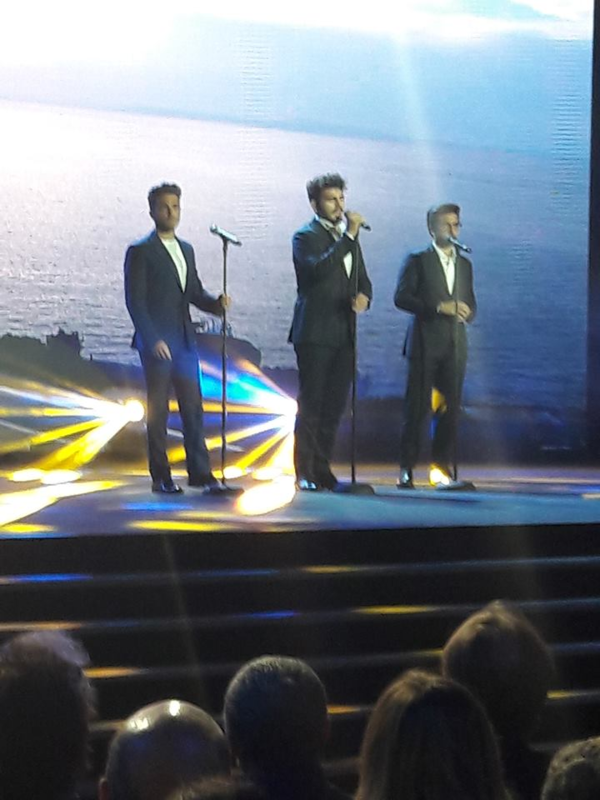 Thank you for posting/sharing this most wonderful part of life of our wonderful Il Volo. In this world, often full of unhappy news, it’s really a big breath to share such a beautiful thing, Arlene. Thank you Daniela for this post. I enjoy seeing these photos and if their love is for real then may it always be so! If it is not well, these things happen and i will be sad for him. Hopefully it is all for the good! Connie, will be what time want, for now let’s enjoy a beautiful love story. His mother….is she taller than Piero? Marylin, of course, the couple Piero and Valentina seem very rented and with a lot of love, they do not hide, they show their affection to everyone. Nothing is known of the reaction of Piero’s family, but Piero brought Valentina to Naro. Piero’s house is adjacent to that of his parents, so I think that the relationship is well liked by the whole family, even Torpedine has expressed his positive opinion about the couple. much for your translations, you are priceless and loved. Gale, you are very positive, we all care about the loving life of our beloved boys, so we wish them all good. Thanks for your compliments, you are very kind. Just to mention that the audiences in Lodz and Budapest seem to be huge, from what I see in video clips and the guys seem really energized and having fun- it’s their forte and natural environment! Mark, you saw that wonder, very warm audience and really happy guys, even if there is some problem, but still resolved. I’m waiting for the concert tonight to sum it all up in one post. Valentina’s facial features remind me somewhat of the American film actress, Julia Roberts (“Pretty Woman”). They each have a beautiful, wide mouth with an arresting smile. I agree with you, Daniela: Piero does look handsome, indeed! I like his longer hair again. Have always thought he has glorious hair and eyes. As a couple, they both seem to share and nurture a robust sense of humor — an important asset in relationships. That looks and feels to me, so far, to be a potentially promising pairing.